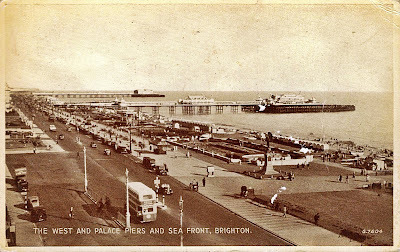 A postcard from 1949 showing The West and Palace Piers and the Sea Front at Brighton, East Sussex, England. More East Sussex postcards here. Pigs! I received this postcard from Finland in the 1980s. 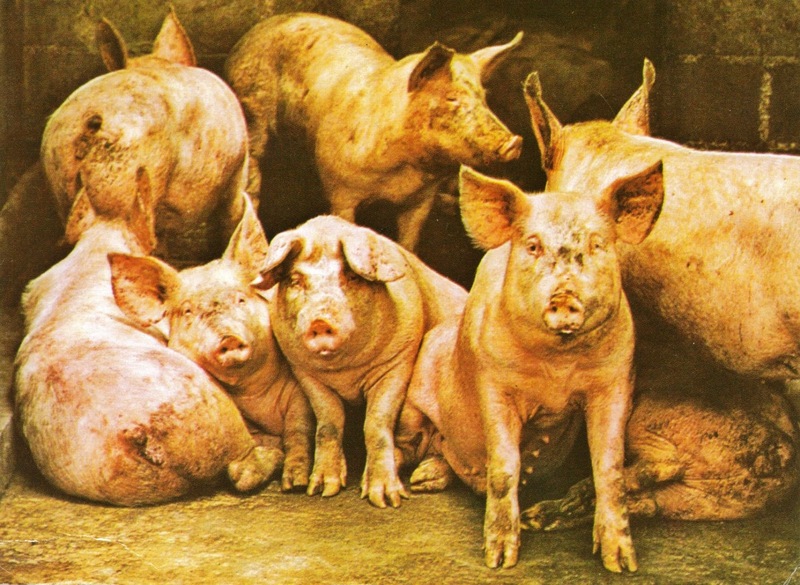 The only description on the card is: "Factory Farmed Pigs". But, that's no doubt a message in itself to some. Today's postcard is of Moscow, Russia in the early 1900s. I have no further information about the picture. Three 1980s postcards from Iraq: Greetings from Iraq. I received these when I published worldwide magazines. 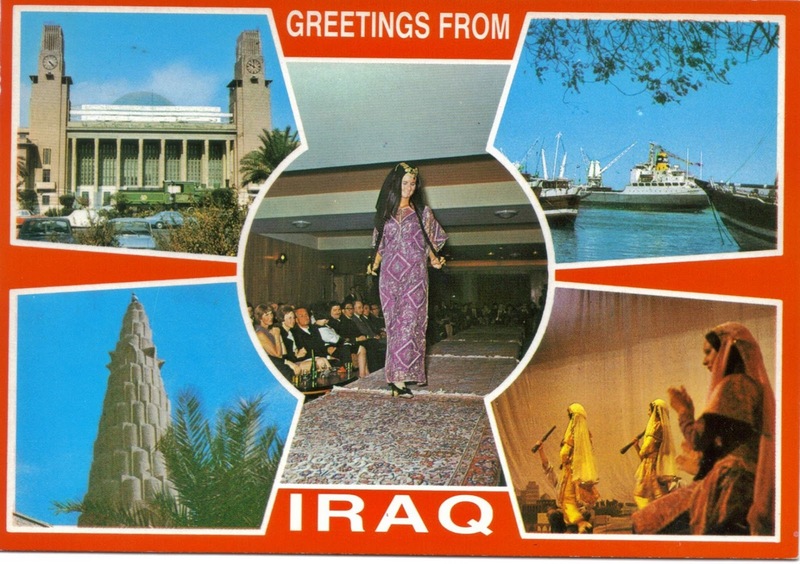 Not sure how many people would travel to Iraq nowadays as tourists. 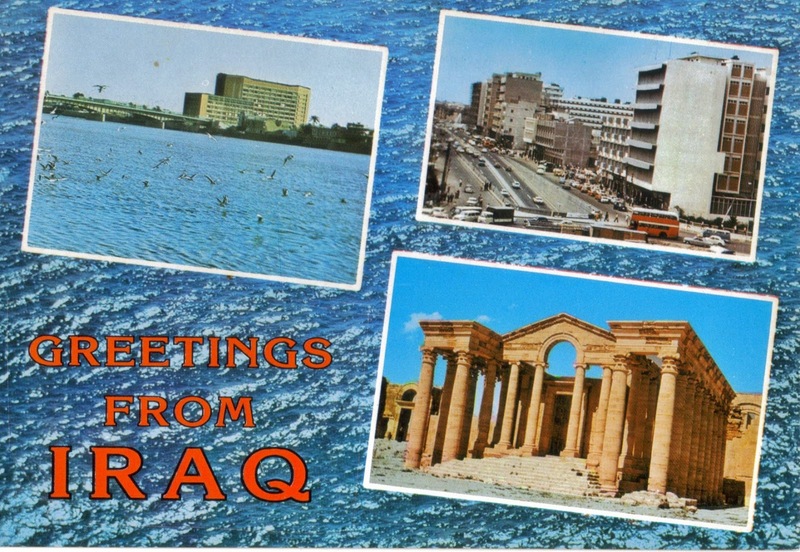 Unfortunately I don't know the names of the places pictured. 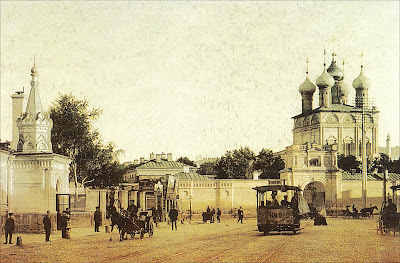 A couple of classic cars from the 1930s on postcards. Above is the 1938 Morris 8 D Model. 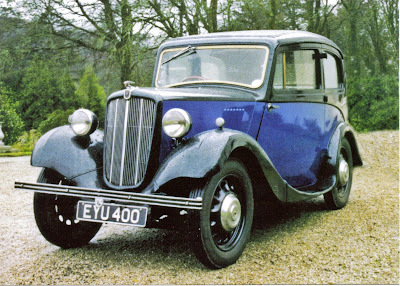 This body style was first seen in 1935 and replaced by the E Model in 1938-39. 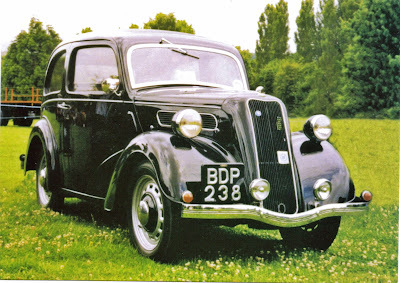 Below is a 1939 Ford 7Y 8HP. This model, produced 1938-1939, was the first of the body-style which, as the Ford Popular was still produced until 1959. 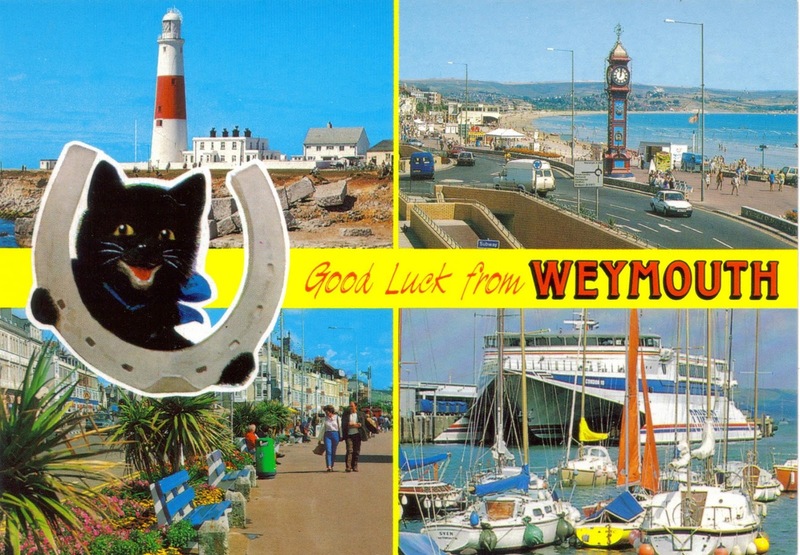 1980's postcard of Weymouth, Dorset, England. Weymouth is situated on a sheltered bay at the mouth of the River Wey on the English Channel coast. See other Dorset postcards here. 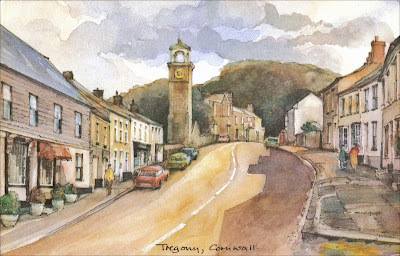 A postcard of Tregony in Cornwall, England from an original water-colour by David Skipp. "Tregony was once a busy port, with the right to send two M.P's to Westminster. But the tin mines and china clay pits were the cause of their own destruction as silt clogged the River Fal. Despite Acts of Parliament aimed at stopping mining, the waters receded leaving the highest navigable point over four miles away." 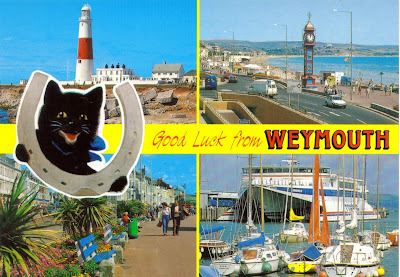 See other Cornwall postcards here. 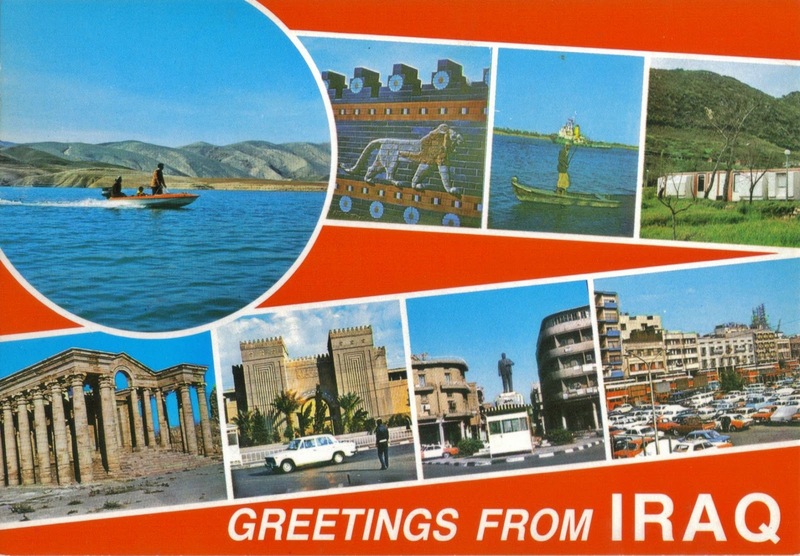 A traditional British saucy seaside postcard from the 1960s and 70s built on the double entendre. A 1972 postcard of Marine Walk, Brixham, Devon. This is a postcard showing how Long Sands, Tynemouth, Tyne & Wear, England looked in the 1970s. © Mike Perry 2014/15/16 .... Travel theme. Powered by Blogger.